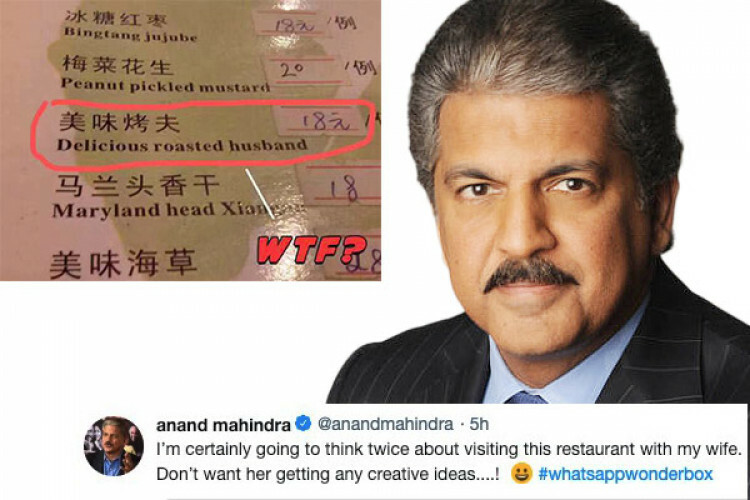 Anand Mahindra is not just the chairman of Mahindra group, he is also often talked about for his hilarious tweets. This time he tweeted a picture of a menu card that content an item called “Delicious roasted husband”! He wrote that he will be thinking twice before visiting the restaurant as it can give creative ideas to his wife. Husbands are finding the post relatable while internet cannot stop laughing on it.